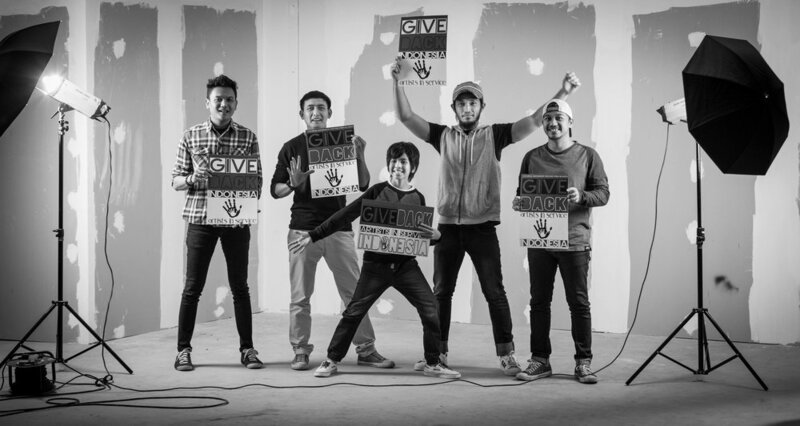 In 2015 a star studded cast of Indonesia's most treasured talents came together to create the first official recording and music video of "Give Back". 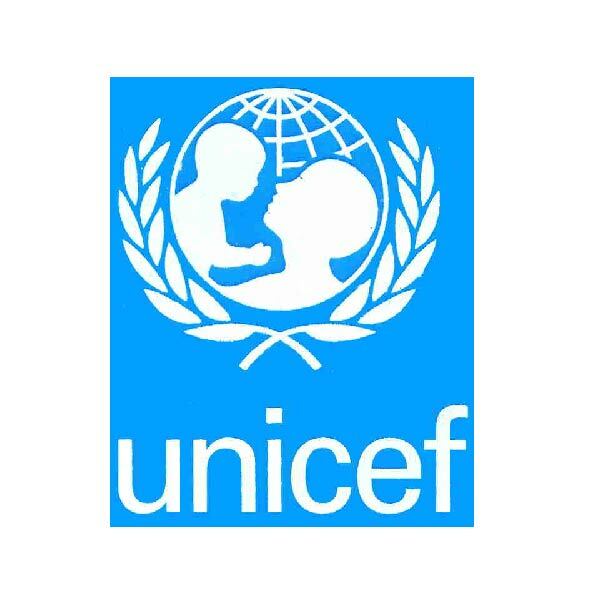 Madam Noor Traavik spouse to the Ambassador to Norway and the head of her own charity "VOICE OF CHILDREN" appointed UNICEF-INDONESIA as the sole benefactor to collect and distribute all monies raised through GIVE BACK INDONESIA. 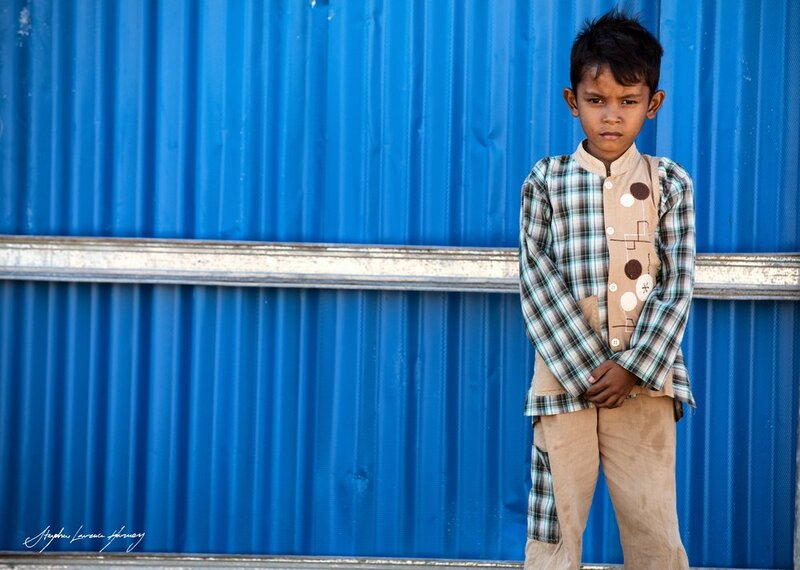 Indonesia has around 85 million children, or one-third of the national population, The situation of children and women in Indonesia has made substantial improvement over recent years, however there are still alarmingly high levels of both extreme poverty (14.5 percent) and moderate poverty (48.7 percent). We can do a lot more as a community to ensure that children are better protected and cared for. Investing in the future generation should be our highest priority to build a better future for all mankind. 2017 we kicked off the third version of Give Back with appearances from several top international reggae acts, the incredible ... Sizzla + Ky-Mani Marley sounding eerily like his father the late great Bob Marley's. The incredibly soulful Taurus Riley the legendary Dean Frasier / Etana and one of Jamaica's newest rising stars Queen Kamarla Plans are underway to add additional artists before completion. Stephen Marley also son of the legendary Bob Marley is one of many artists slated to appear. 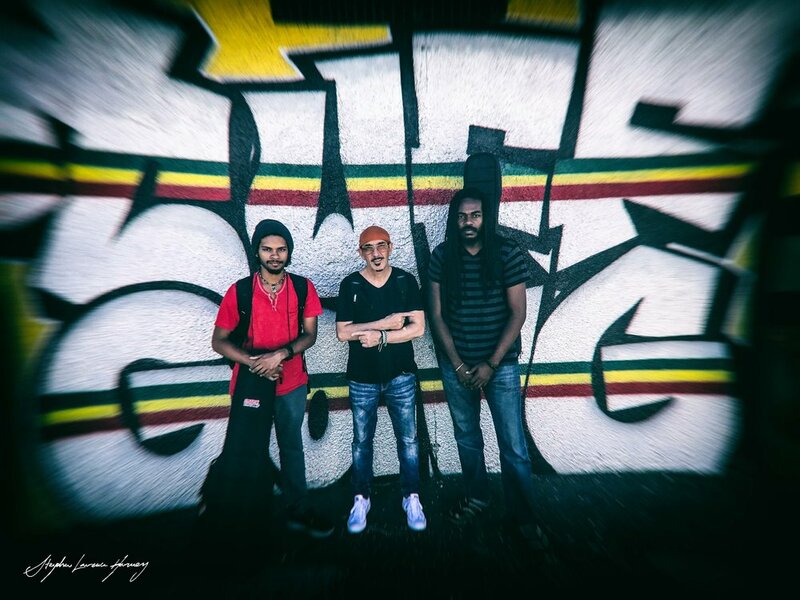 We had the honour of recording and filming at Tuff Gong studios in Kingston, the studios where Bob Marley created a body of work that still graces the airwaves to this day. Kingston is a music mecca and home to many of the biggest international reggae stars in the world. Merchandise will soon be available to purchase at our GIVE BACK ONLINE STORE and plans are being laid to open a flagship store in the village of UBUD, BALI where all goods will be made from sustainable materials. A portion of the profit from all sales will be used to support children's causes. The Philippines / India / Cuba / Thailand & Australia the UK and USA are on the bucket list as the project moves forward. 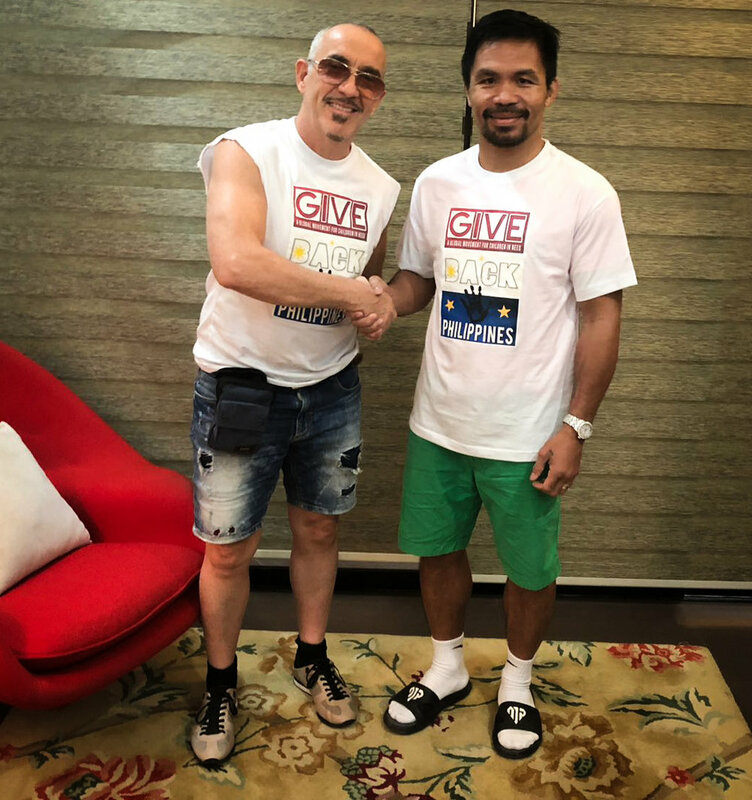 Stephen seen here pictured with the Senator and World Champion, Manny The Pacman Pacquiao at his home in General Santos Philippines - In 2019 we plan to commence filming and recording the hour long doc on the making of GIVE BACK PHILIPPINES which will feature all the top regional artists performing a unique version of the GIVE BACK song in Tagalo the native language of the Philippines. THE YPAC ORPHANS / BALI - I was asked to film these incredible children one afternoon as guests of the PAN PACIFIC NIRWANA Bali. They create these amazing paintings as a collective, sometimes 4 kids painting together on one canvas and the paintings sell in the region of 1500 usd each with prints going for 150 usd each. This is an amazing way for these children as a family to support each other, both financially and spiritually. They may all have some form of physical disability but it was incredible to expereince how joyful they were and full of light and creativity. I edited the video to a song I wrote about giving called BIGGER.